Just a reminder that this year's holiday concert will take place on Wednesday, Dec. 21 with performances at 9:30 a.m. and 1:30 p.m. 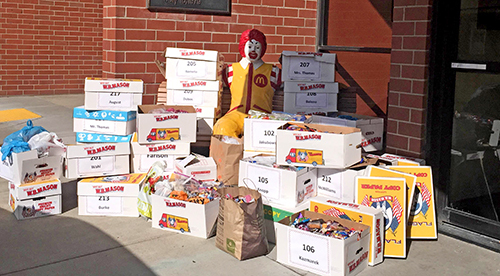 Thanks to the kind and generous donations from our student body, the Ronald McDonald House received a great shipment of goodies from McClellan Elementary. The extra candy will help brighten the days of those who use the Ronald McDonald House's services. Great job to all our kids! This past Tuesday, author Alan St. Jean stopped by to visit the students and share his unique insights into the world of writing. St. Jean, author of such books as The Legend of OinkADoodleMoo and the Aidan of Oren series, used a fun-filled multimedia presentation, music, and some question-and-answer sessions to engage the kids and explore the many aspects of good storytelling. Plot, characters, conflict, and many other crucial literary elements were discussed amidst the laughs and giggles. 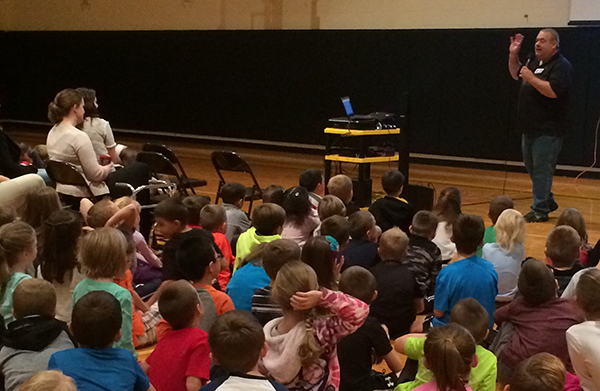 The McCellan Elementary PTA extends their thanks to Alan St. Jean for a fabulous morning! To learn more about Alan St. Jean, visit http://www.alanstjean.com. Get Ready for Game Night! On Thursday, Nov. 17, McClellan Elementary will be hosting it's annual Family Game Night! Families can participate in Pictionary, iPad Trivia, and play a variety of board games. The board games will be raffled off at the end of the night for use in our classrooms during indoor recess. Attending families will recieve tickets to participate in this raffle. Also, a variety of Minute-To-Win-It games will be held in the gymnasium, as well as a Star Wars X-Box battle. For a small monetary donation to charity, students may challenge teachers in these games. Canned Food – Canned Fruit, Corn, Potatoes, Ravioli, Stew, Chili, etc. We hope you can join us for an evening of laughs and fun as we get our game on at McClellan! PTA Parents, Family Game Night is still looking for volunteers to help run games and manage the event. Click here to sign-up. Your involvement is always appreciated. 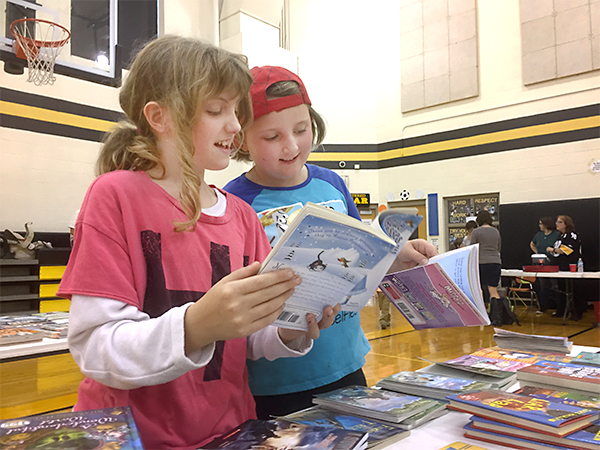 On Sunday, Oct. 16, McClellan kicked off the Scholastic Book Fair with a family event, giving the school community a chance to see all of this year's newest titles and grab them before they're gone. Families also stuck around to eat some yummy treats and take in a bit of the Steelers' game. While the hometeam didn't pick up a win, our young readers came out on top with a bunch of good reads. The in-school sale extended through Wednesday for all students, giving them a chance to shop with their teachers and classmates. A big thanks to the parents and teachers who helped during the Family Event, as well as those who managed the in-school sale throughout the week!